Gov. Nathan Deal, Lt. Gov. Casey Cagle and House Speaker David Ralston announced appointments to The Atlanta-Region Transit Link Authority (The ATL). House Speaker David Ralston has appointed retiring State Representative, R-Powder Springs, and CEO of Taylor English Decisions, Earl Ehrhart to The ATL. The ATL was established by HB 930 to provide structure for coordinated transit planning and funding for the 13-county metro Atlanta region. The ATL is responsible for developing a Regional Transit Plan, as well as identifying and prioritizing the projects and initiatives required to develop region-wide transit. The ATL is governed by a 16-member board. Ralston also appointed Charlotte Nash, chair of the Gwinnett County Board of Commissioners, to the ATL board. Meantime, Lt. Gov. 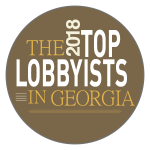 Casey Cagle has appointed Teddy Russell, co-owner and the president of Russell Landscape; and Mark Toro, co-founder of North American Properties’ Atlanta office. Gov. Nathan Deal has appointed Charlie Sutlive, director of corporate communication at Georgia Power, to chair the board. Read about Earl Ehrhart and his appointment in the Metro Atlanta CEO and Marietta Daily Journal.